Shouldn’t Green New Deal Proposals Address Fossil Fuels? Caleb is staff attorney for the Portland, Oregon-based Center for Sustainable Economy, and played a key role in the Portland ordinance and played a key role in the Portland ordinance, which he said “has withstood several legal challenges by the fossil fuel industry and others. 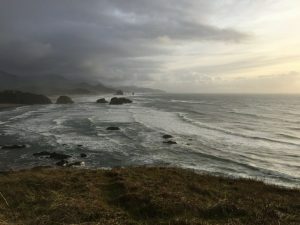 The King County ordinance goes further than Portland’s in that it declares an emergency and directs the county executive’s office to review existing fossil fuel facilities, study those facilities’ impacts on local communities and prepare recommendations to mitigate their health and environmental harms. With the passage of this ordinance, King County joins a growing wave of communities stopping fossil fuel projects before they start — including Portland, five separate WA jurisdictions, including two of the state’s largest counties, and Baltimore MD.